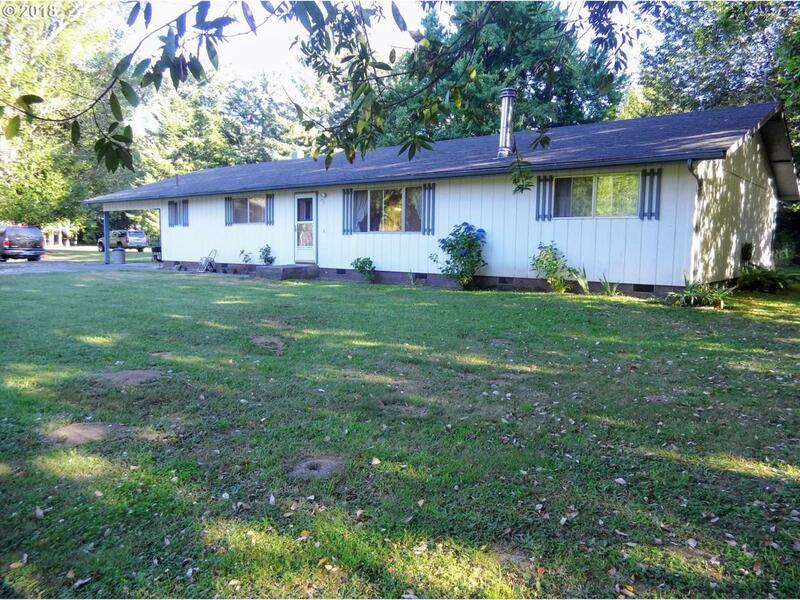 Great home with 3.67 flat acres in the heart of Dora Oregon. This home has 4 bedrooms, 2 baths, family room and large living room, dining room and beautifully remodeled kitchen. The house has had fresh paint, new carpet in living room and bedrooms and new vinyl in the bathroom. The garage is a 3 car detached oversized w/room for working. Circle driveway, RV parking and fenced pasture area, possible second building site!